Vehicle Squeegees 8" Deluxe Steel Head Black Plastic Handle BOWES SS 37905. 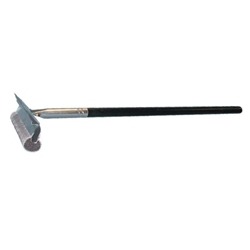 8" Deluxe Plastic Head with 20" heavy duty plastic handle. EPDM Rubber Blade. Heavy duty nylon net. Heavy duty sponge with plastic insert.